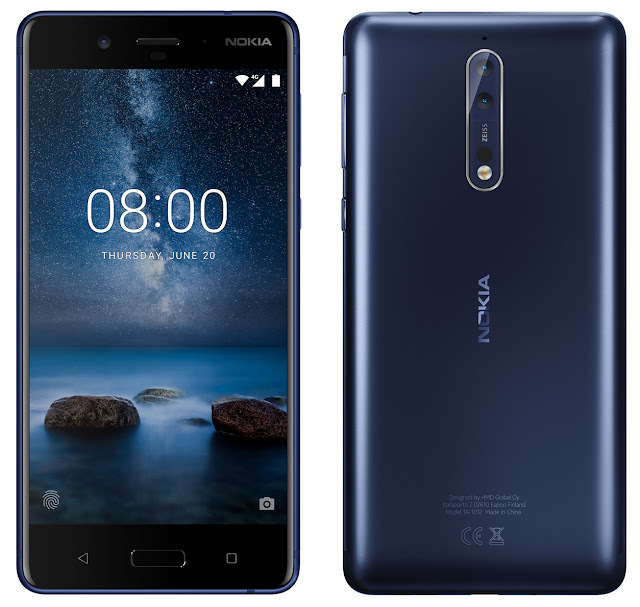 LoveNokia | Latest News and Information about Nokia Mobile: High Quality Press image of Nokia 8 leaked!! High Quality Press image of Nokia 8 leaked!! After teasing the ZEISS branded dual lens camera, @evleaks just posted an image of Nokia 8 on Twitter. The image shows the front and back of the device. 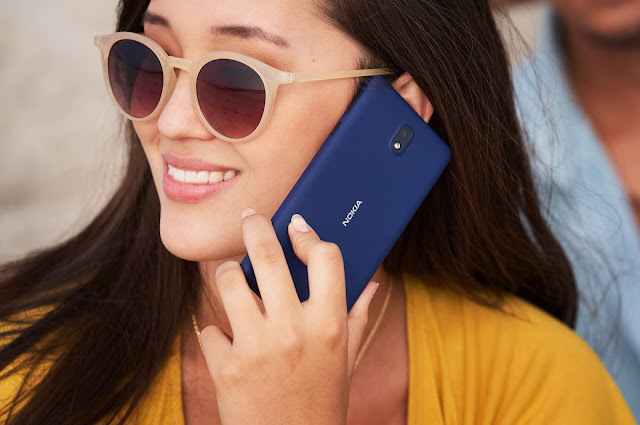 The phone looks almost similar to Nokia 5 in terms of design. At front we can see a 2.5D curved screen which is expected to be a 5.3" QHD (2560x1440) Polarised Display. Just below the display we get a fingerprint scanner along with capacitive back and recent buttons. ZEISS branded 13MP Dual Camera module with Laser AutoFocus and Dual LED Flash can be clearly seen at the back of the device. The phone is said to sport a Qualcomm Snapdragon 835 Processor coupled with 4GB or 6GB of RAM (depending on the variant) and 64GB of inbuilt storage. As per earlier reports, Nokia 8 is expected to launch on 31st July. And looking at the current flow of leaks and rumors we might see Nokia 8 being launched very soon.